My next release, The Alpha's Justice, is part of the Bad Boy Alphas series featuring different authors writing about their favorite bad boy shifters. Below is my cover, an excerpt and giveaways for signed paperbacks, hundreds of dollars in giveaways as well as swag bags. Drum roll please! Here it is! The cover for The Alpha's Justice. Believe it or not, I looked at over 5,000 stock photos to find this couple. Hopefully, you like it! GIVEAWAY #1: Click to win one of two signed paperbacks via a Goodreads Giveaway. GIVEAWAY #2: Enter for a chance to win a $50 Amazon gift card and one of two swag packs courtesy of Michelle Fox. GIVEAWAY #3: Enter the Howling Good Hop's grand prize giveaway. 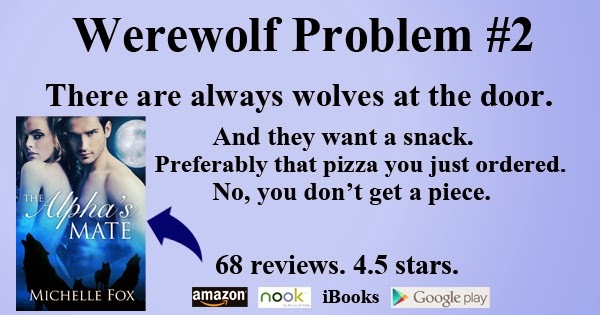 Want to have a howling good time? Visit the other blogs in the hop! 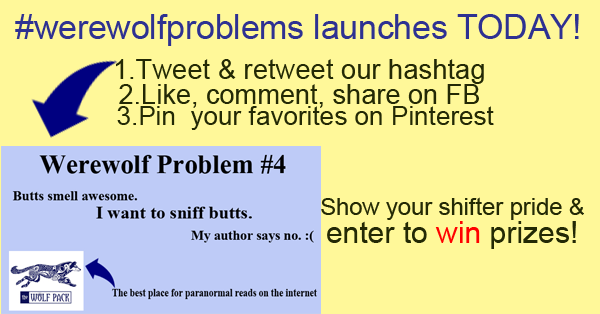 Today is the launch of the #werewolfproblems meme. More than a dozen authors have contributed to the project and to celebrate it's debut we've got a fun giveaway going on. Full length novel. No cliffhanger! 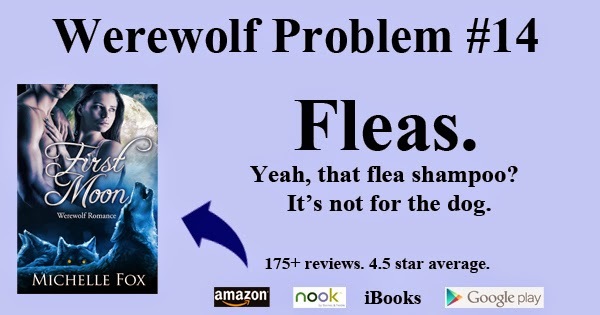 "I loved this story, it is so emotional for these two. I love the growth that Chole has shown since the first time she was introduced. She went from thinking she was a null to the Alpha's mate and she demands respect. This has so many twists and turns and keeps you guessing what will happen next. I loved it."